Everybody is enjoying Spring? 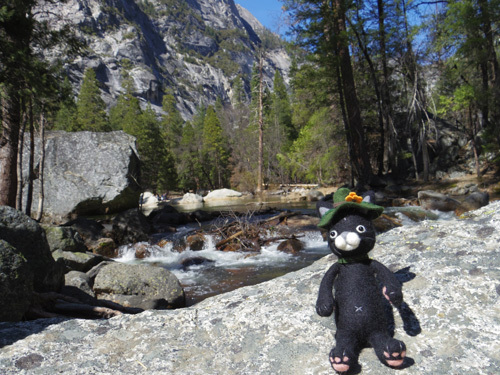 Fuzz Neko couldn’t wait to get some fresh air up in the mountains! 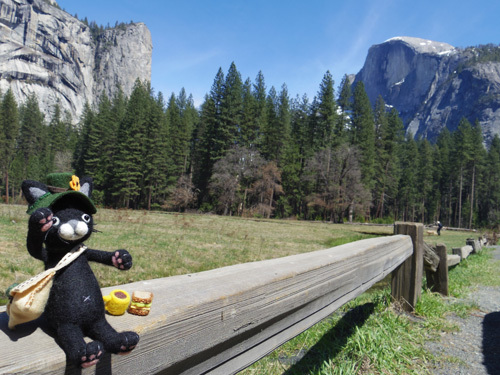 So, he ended up going to Yosemite for his Spring break. Going out is especially nice when you bring your homemade sandwich and freshly brewed coffee with you. It’s fun to eat and drink them in the warm sun! 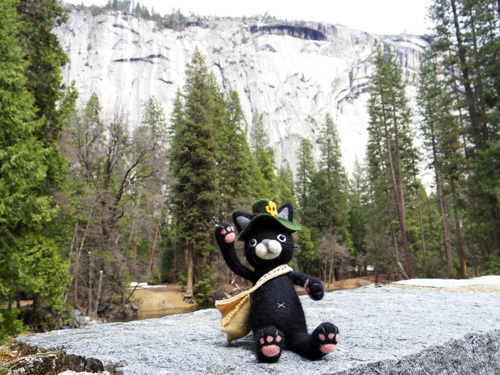 Fuzz Neko hiked along the bike road to the mirror lake, with a good view of Half Dome! 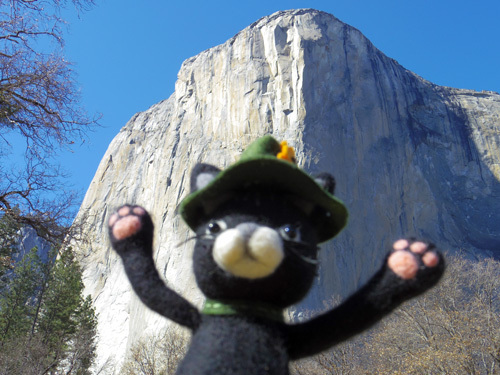 It was such a nice day for walking around in the Yosemite Valley. Plenty of water flowing everywhere and yet, much less crowded than during Summer Vacation time. Also, the top of the mountains still have white snow and there is snow on the ground at some places in the park too. Cool! In the morning it was chilly and a bit cold, but in the afternoon the Sun made us warm and we even got a bit sweaty while we were walking. 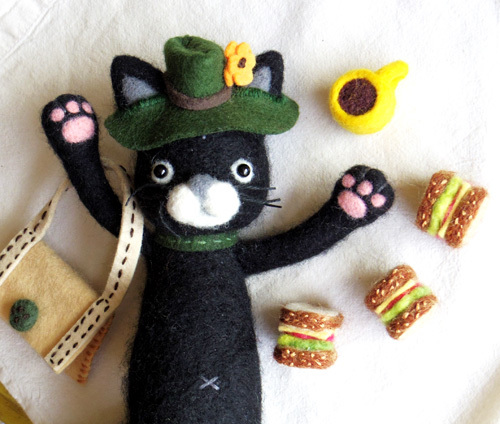 Oh, but there was one other thing, Fuzz Neko didn’t expect that he would be attacked by hay fever! 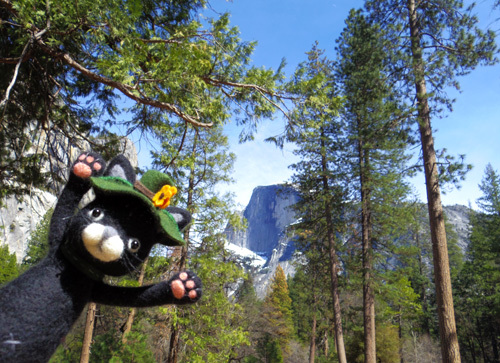 Fuzz Neko had no idea what really caused it, but on the way home he kept sneezing a lot….so, be careful people! Always bring your allergy pills with you just in case. 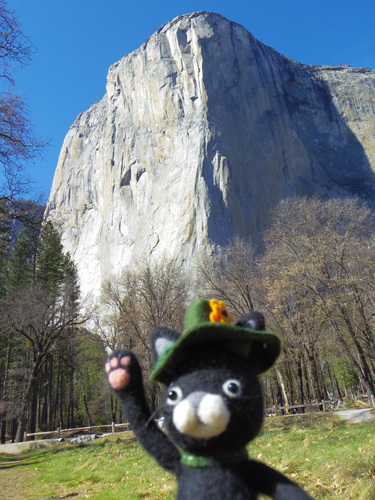 Fuzz Neko couldn’t resist taking pictures at the almighty El Capitan. It’s Huge! Nature is so unbelievably beautiful. Alex Honnold also showed us how you can embrace the beauty of nature and appreciate our lives. Fuzz Neko loves this song❤️ Originally written by the Australian band “Smudge” and covered by the American band “Lemonheads“. You know, not everybody can be like Alex….but, it’s okay! sandwiches and coffee are more important……. 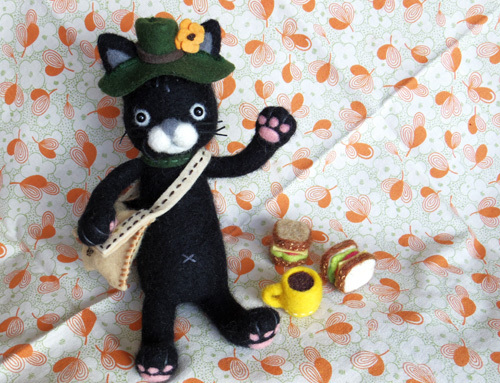 If you’d like to taste the special Fuzz Neko coffee and sandwich, it is available at the Fuzz On Me Etsy store right now!